There are many things to love about Brazilian model turned South Beach stylist turned Philadelphia salon owner Gustavo Tundela: His cool Brazilian accent, his trendy downtown salon serving themed cocktails and perfect ombre highlights, his epic love story of moving twelve hundred miles across the country to be with the woman he loves. But, what we love the most: His enthusiasm for hair innovation–and what’s more innovative than Apple Stem Cell Power? Gustavo, who’s worked for exceptional salons such as Rocco Donna in South Beach, recently branched out to Philadelphia to start his own salon: Tundella & Co. in downtown Philadelphia, bringing the South Beach keratin craze with him. Tundella Salon is the forerunner in keratin treatments in the area, boasting over 20 treatments a week. Tundella recently stopped by Olez Professional to get his hands on the latest innovation from Olez,INCEPTION, a breakthrough hair straightening treatment that uses a unique blend of acids to gently relax the hair’s texture while combining the restorative hair benefits from Apple Stem Cells harvested from the Uttwiler Spätlauber apple. "I love that it’s clean, no smell, and easy to work with. 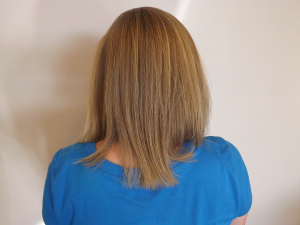 The shine and softness in the client’s hair is incredible. "We’re excited to be the first salon in Philadelphia using Apple Stem Cells in a hair straightening treatment. We’re even thinking of adding Apple Martini’s to our menu. "We use Olez Advanced as our express keratin treatment to control the frizz and add shine and manageability. Clients can either receive the full treatment or we do a quick 15 minuteblowout for half the cost. "Brow level bangs (we call them T-bangs) are a big trend this year. Also, richer deeper colors, dark caramel hues, and copper tones are really popular. "I find the latest trends by traveling to the international hair shows, especially in Brazil and reading international hair magazines. "We have a photoshoot coming up for our first Lookbook showcasing some of our best hairstyles. We’re really excited about it. 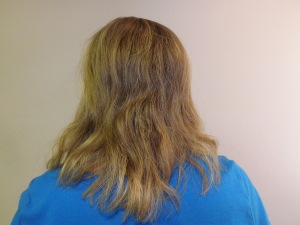 "We do a lot of hair extensions but our specialty is definitely Ombre highlights. Stop by Tundella Co. Salon, for an Olez INCEPTION consultation and be sure to ask for that Apple Martini! Stylist? Call Olez Professional: 1-800-251-2479 to learn more about ordering Olez INCEPTION for your salon.